Have brown eyes? 3 gorgeous eye makeup looks to drool upon this winter! Brown eyes so pretty, we cannot get over them at all. This is why, to accentuate the look of the god-gifted twins, you need to have the right eye makeup done. But let’s remember one thing here- brown is a neutral shade and any color can go well with it, but if you have glossy hazel brown eyes, sticking to matte tones would be the best for the winter daytime parties and affairs. However, if the eyes are deep set or hooded or if you have Asian and small eyes, we would always want to help pop them out; using a little shimmer thus is allowed. Now to get more of these tips and to doll up the brown beauties, please read on! With deep brown eyes, we would want to have a shade of matte pink to play with and to deck up the eyelids with. To begin with, we would wash the eyelids with a touch of neutral browns, and then a matte tone of pink to emboss the eyelids with- inner to the outer corner of the eyes. The mid section or the socket of the lids we would touch with a little darker shade of pink and blend it in. Deep dark winged liners should accompany this look, and to make the eyes pop out- touch the inner corner of the eye with a pinch of white eyeshadow, and blend it into the crease line. The brow bone needs to be decked in the same white eye shadow too. Going out with your friends when the sun shines through the nippy day? Make a fashion statement with smokey blue teal eyes, and here’s how to do that. The brow bone area should be washed with a neutral shade of lightest brown, and the inner corner to the mid section of the eyes should be done with the same shade too. From the mid section to the outer section of the eyes, we would apply cobalt blue, and for the lower lash or tear line, a smudge of teal blue. Dark kohl liner in one stroke for the upper and the lower eyelid is more than enough, with two strokes of volumnizing mascara to enhance the features. Remember how gorgeous Bollywood diva Kareena Kapoor looked with her brown eyes all dolled up with a smokey charcoal touch? The same look is what you can emulate for a daytime lunch gathering at work, with family and friends or on a special lunch date. 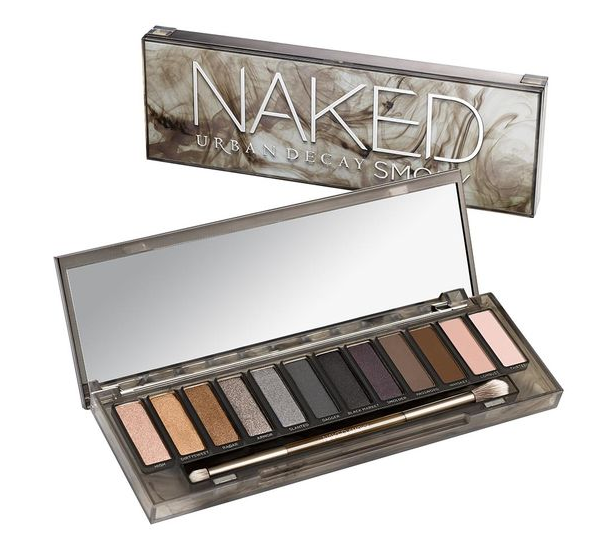 To begin with, we shall use the lightest brown neutral matte eye shadow to wash the eye lids with. The next step would be to use a dark black shadow in matte tones to contour the eyelids on the outer corner of the eyes. Smudge the same inwards and then apply a dark brown matte shadow from the rim of the contouring inwards towards the mid section of the eyes. Use an angular brush and apply a coat of deep dark black kohl on it. 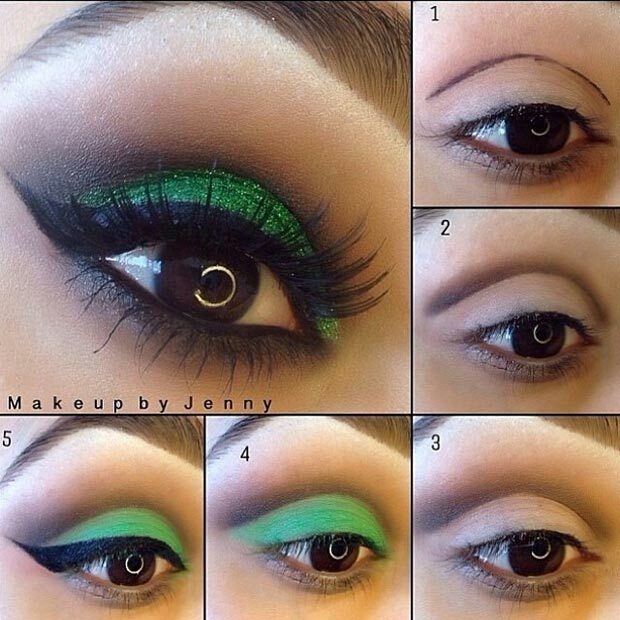 apply the eyeliner from the inner corner to the outer corner of the eyes, and with the same brush smudge it upwards. 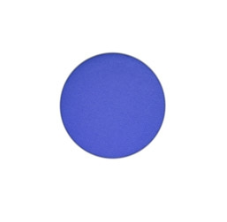 The brow bone area should be dolled up in white matte powder, and smudged into the crease line. Apply dark kohl and smudge once again to complete the sultry smoked up eye makeup!